I meant to share this recipe later in the week. There are a few more dishes that claim a higher spot on the list–tested, photographed, patiently waiting for their time on this blog. But it seems a game of musical chairs is being played. Round and round they go until the music stops and a recipe gets bumped off for another week, then another until only one remains. If you played musical chairs as a child you know you can’t be timid or shy. If you don’t want to find yourself sitting on the floor (or someone’s lap), you have to be bold and snag a chair when the music stops. 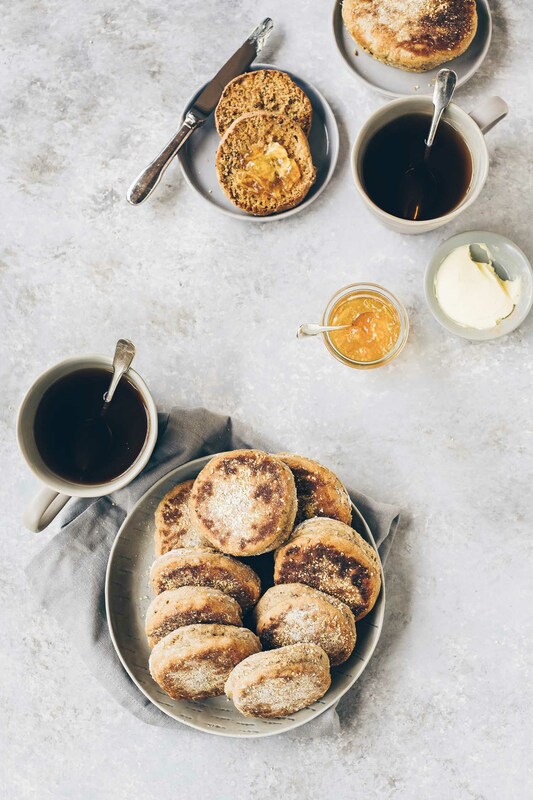 In this case–and it’s happened with a couple others in the last few weeks–one recipe seizes my attention and demands to be shared right away (I also shared a teaser snapshot on my Facebook page and immediately received numerous requests for the recipe). This one is bold in a way that only Nutella can be when pitted against fish, a salad or even a cake. This week’s round of musical chairs declares this simple quick bread the winner. 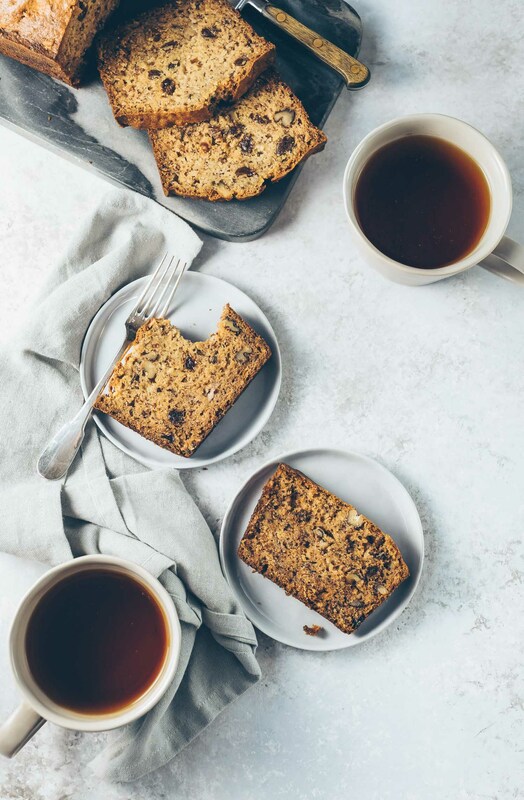 This is perhaps one of the easiest quick breads you can prepare but it rewards like you’ve spent all afternoon toiling in the kitchen over a three-layer cake. 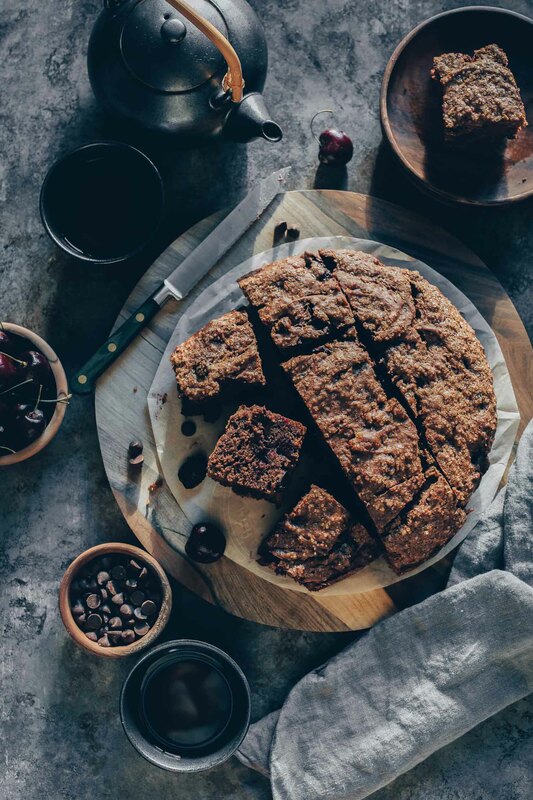 This is the magic that happens when ripe bananas and Nutella come together; truly cake-like in texture and I deem it appropriate not just for breakfast or teatime but for dessert, too. I borrowed my recipe for Banana Chocolate Bread in the archives–a winner in its own right–but I swapped out the bittersweet chocolate and walnuts for Nutella and slivered almonds (just the little bit I had left over). The banana and Nutella don’t compete here; swirling the latter in the batter marries the two together but each component is detectable in every bite. Imagine biting into a random banana chunk that didn’t get completely mashed and a pocket of Nutella at the same time–can you think of anything better? * Here are other Nutella recipes you might enjoy: Nutella Tart, Nutella-Orange Marmalade Palmiers, Peanut Butter-Nutella Cookies. ** I made four mini loaves out of this recipe but you can make one standard loaf if you prefer. Preheat oven to 350º F. Grease 4 mini loaf pans or a 9 x 5 inch loaf pan and dust with flour, tapping out the excess. Whisk all the dry ingredients together in a large bowl and set aside. Mix the mashed bananas, yogurt, eggs, butter and vanilla with a wooden spoon in another bowl. Lightly fold the wet mixture into the dry mixture with a rubber spatula until just combined and the batter looks thick and chunky. Stir in the almonds. Measure out the Nutella in a small bowl and heat in the microwave for 30-35 seconds, just until it's softened and stir together until it's the texture of frosting. Stir the Nutella into the batter being careful not to completely incorporate the two together. You want a swirled pattern here. Transfer batter into the greased and dusted loaf pan(s). Bake until the loaf is golden brown and a toothpick inserted in the center comes out clean. It will take 25-30 minutes if you use mini loaf pans like I did or 50-55 minutes for a regular one. Cool in the pan for five minutes then transfer to a wire rack. This is great at room temperature or even straight out of the refrigerator. I have three favorite sweet breads. Banana, raisin & fig (which I just discovered now from my frequent trips to Eataly). I used to love the ones baked by my aunts when I was a child but never really tried making any on my own. With a bad baker like me at the beginning, it really didn’t even cross my mind. I also have so many recipes ready to be posted but some get bumped off like how your musical chairs go. Haha! Thanks for this recipe. It’s about time I make my favorite bread! I love the musical chairs analogy. I feel like it’s an axiom that could be applied to all of life. 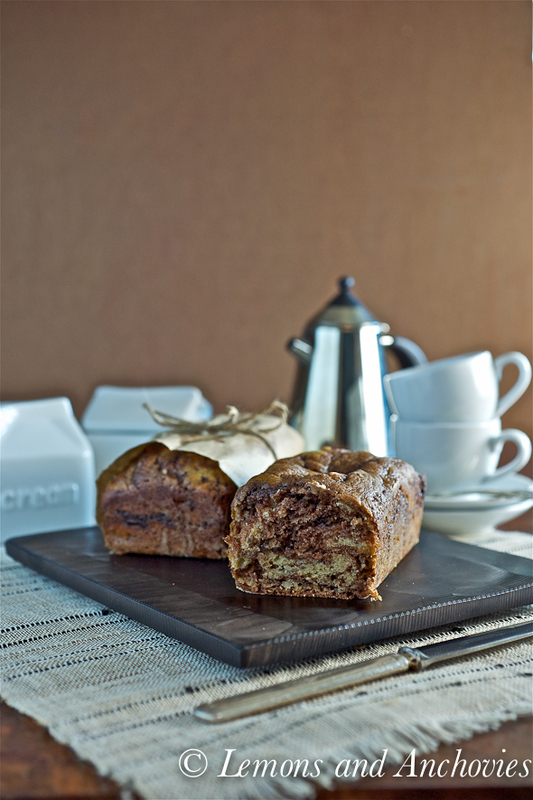 This banana nutella bread looks so rich and dense and moist. I can see why you had to make this first. This is my sort of food – it looks healthy, has ingredients like nuts, yoghurt and banana but disguises a little decadence in the form of nutella. Well done for coming up with this combination! This one will be a good reicpe for when we start a dance carpools again. Oh yes, bananas and nutella are a perfect combination. I like to take a small spoon and scoop some nutella and eat it with a banana. So why not a nutella banana bread?! I do love nutella and banana bread so this looks wonderful to me. I think I have some bananas that I can make this with, yum! Ooh, I saw these on Instagram and was wondering what was in ’em! 🙂 These sound delicious, Jean! I just put some mostly-dead bananas in the freezer for a future banana bread, when I’m motivated to bake with the a/c on. Haha. It’s been SO hot in S.Ca! I Can’t get motivated in the kitchen with the heat… Have a great week! Oh my word!! This looks like heaven in a loaf my dear! While we were on our family trip last month we stopped at a bakery and bought some caramel banana bread and I though it was out of this world good. Now, looking at your nutella banana bread I’m trying to decide what to add first to my banana bread : caramel or nutella. I think I better make two loaves, one of each. Thanks for the recipe Jean! 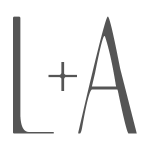 A terrific combination! Those breads look delicious and moist. Oh Jean …what a beautiful bread! i think i am in heaven just by looking! I am loving your pics as well as the recipe! Even though I’ve resisted the Nutella craze – this bread looks irresistible! I love the mood you set with the styling and light here, Jean. We always have banana, nutella, almonds, and yogurt at home! So happy to hear “easy” coming out from this delicious bread! Bookmarked and I must try for my children and ME! 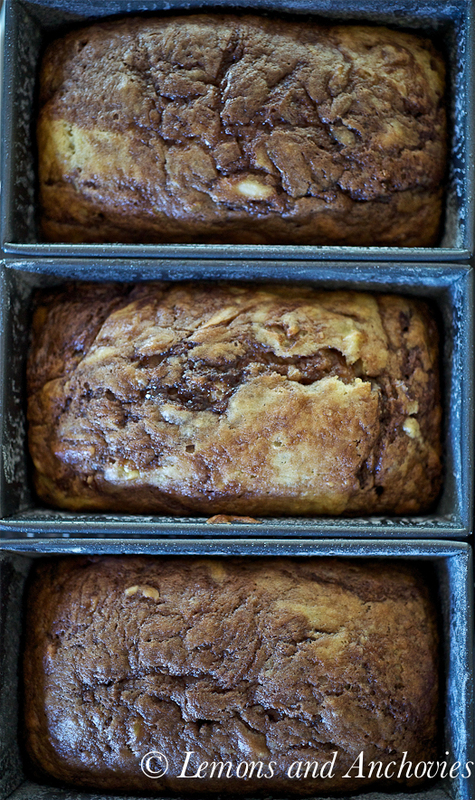 This might become our regular banana bread from now on. Heehee. 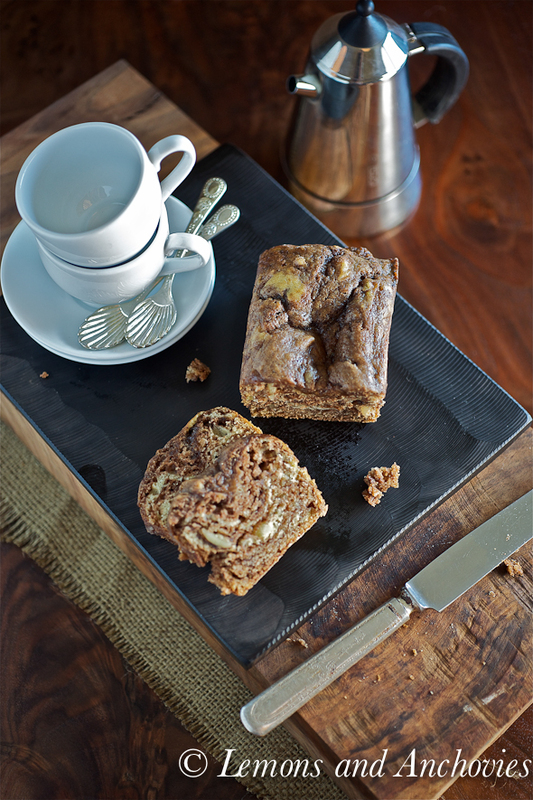 Isn’t it wonderful and amazing how a simple quickbread recipe can taste so very good? Especially when you add in nutella. Heavenly. And I love how dark the loaves turned with the addition of that chocolate and hazelnut spread. Thank you for sharing this with us! This is absolutely the most divine banana cake I’ve seen. And you had to thrown in nutella? I am so making this one ! I got all the ingredients in my kitchen. Bookmarking this. Must bake soon! Thanks for sharing, Jean. And thanks for your sweet comments earlier 🙂 Back at you, too ~ thanks for being so kind! What a beautiful loaf of bread! Nutella is so well loved in many dishes. Love the chunks of banana I see in the bread. I can tell that bread is very moist and soft from your picture. Lovely! gorgeous bread! 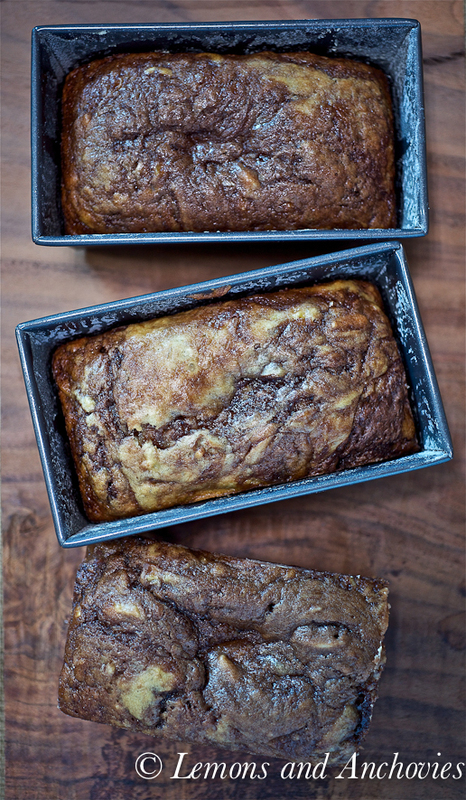 I started a little series of banana bread recipes and posted another one today b/c I’ve been loving it so much. Must try with Nutella next! Pinned your recipe – it looks SO GOOD! This is my new favorite banana bread recipe! Just made it tonight and it was delicious. 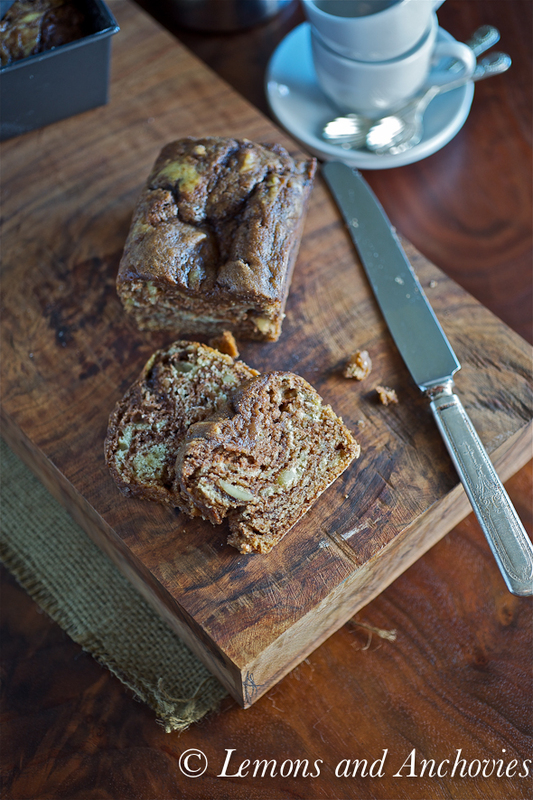 No cinnamon or nutmeg, simple flavors, chocolatey banana bread–perfect. I used a 9×5 pan and baked it for more like 75 minutes to solidify the center. The crust is crispy in a good way, not burned. I only had honey greek yogurt, so subbed that for the plain–not sure how it compares, but if the tartness of the plain comes through in the finished product that would be yummy. I also used a store brand nutella which is slightly more nutty tasting than nutella. Next time I make this (soon because it’s almost gone…) I’ll add some chocolate chips because I was looking forward to the nutella creating gooey bits in the bread, but not the case (perhaps it would be different with smaller loaf pans). This recipe turned out great. I doubled it and it made 7 mini loaves. I did not use the sugar but the bananas were uber ripe. I also sub’s walnuts for the almonds. Thanks so much for sharing this recipe. did this in mini muffin bites yesterday and after cooling they were perfect! in fact the flavour improved overnight…my son gobbled up three quarters of a tray…will definitely be checking your other recipes out from now on =) thank you for sharing this!!!!! oh yum! i might have to try this too!